I don’t know about you, but I’ve always loved reading inspiring stories. When I was a child, it was true stories from the Reader’s Digest that captured my attention. Then came all the Chicken Soup stories. When I discovered the internet and blogs, the ones with true, inspiring stories always got me hooked. Whether it was someone who saved someone else, or a group of people who face adversities and triumphed over them, or an individual who didn’t allow illness or disability to come in the way of their dreams, all of them drew me in. A few months ago, my friend, Vidya Sury called for inspiring stories to feature on her blog. Vidya’s blog is all about spreading happiness and inspiration. You will find plenty of inspiring stories there. The beauty of her stories are that they are about ordinary people who in their simplicity inspire us to shower kindness and do the best we can no matter what our circumstances. When I saw Vidya’s request for stories about inspiring people, I knew I had to share the story of Sanam Rabadi Karunakar, who is one of the most inspiring persons I know. Today, I invite you to read my post about Sanam on Vidya’s blog: Inspiring Stories. Against All Odds. Thanks for the opportunity, Vidya! Off to check out the story now. Sounds like a great idea! Will do Corinne. I must mention here that you are an inspiration to me. You blog consistently, you blog about things that matter and you are always kind and encouraging about anything you write about. Three cheers for Corinne!!! 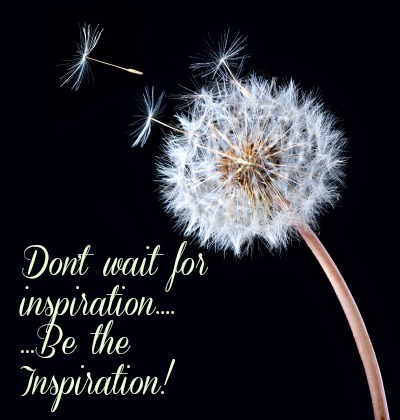 Don’t wait for inspiration you might not get it….loved this !! Glad you liked it, Naba. I hope you liked reading my post on Vidya’s blog too. Loved the story, very inspirational, I am always amazed by the power of animals to assist in the healing process. I finally gave in, despite living in a small apartment for my daughter to have a cat after her diagnoses with diabetes and was amazed at the transformation, all her fragility and tearfulness left from the moment that cat arrived. And from being set against it, I now even hear my husband talking to it like part f the family. Animals can change lives! The Reader’s Digest was one of the books we fought over as children, Carol. Honestly, that I read that quote for the first time too as I was looking for one for this post! Thank you for your comment on Vidya’s blog too. Don’t wait inspiration to be inspiration.It is such a lovej=ly quote. Loved reading. 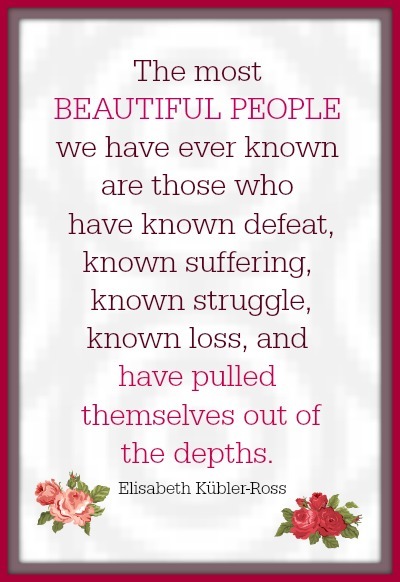 I have always loved that Kubler-Ross quote! And now am off to Vidya’s blog for reading your story. Thank you so much for sharing my space today, Corinne. You know how much it means to me. What a beautiful quote by Elisabeth! By the way, I loved the true stories in the Reader’s Digest too. Then “word power” and “towards more picturesque speech”. I was so thrilled when a friend had a stack of the large print version!